I don’t think I’ve ever been to as many new movies in one month as I did this November. It wasn’t a deliberate attempt to see so many movies, but it just happened. I had a conference in San Francisco the third week of the month and a quiet Thanksgiving this week. Both became a recipe for evenings at the movie theater. I could give mini-reviews of each movie, I suppose, but it wasn’t the content of the films that stuck out to me. It was more the variety between each of the films. The first two films were seen on back-to-back days, and the last three were seen back-to-back-to-back. What a juxtaposition! I wish I had gone to Ender before Thor. I think the fun and ridiculous ending of Thor made Ender too serious. Or maybe Ender was just too serious. I’m glad I saw Book Thief before Hunger Games. 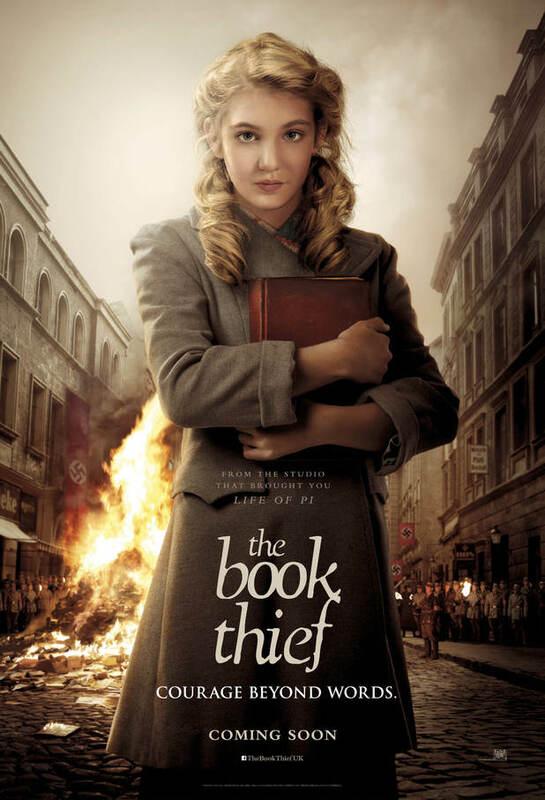 The Book Thief was allowed to stand on its own, and have its own meaning. Catching Fire was actually upbeat in comparison, so it felt like a more positive movie than the first one. I’m glad I ended the month with Frozen. Well done, Disney. Well done indeed. What’s the highest number of movies you’ve seen in a month? I’d love to hear from someone (who isn’t a film critic, obviously) who can beat my five!